Skye Gravestones | Marion (Macleod) & Alexander Nicolson. Marion (Macleod) & Alexander Nicolson. 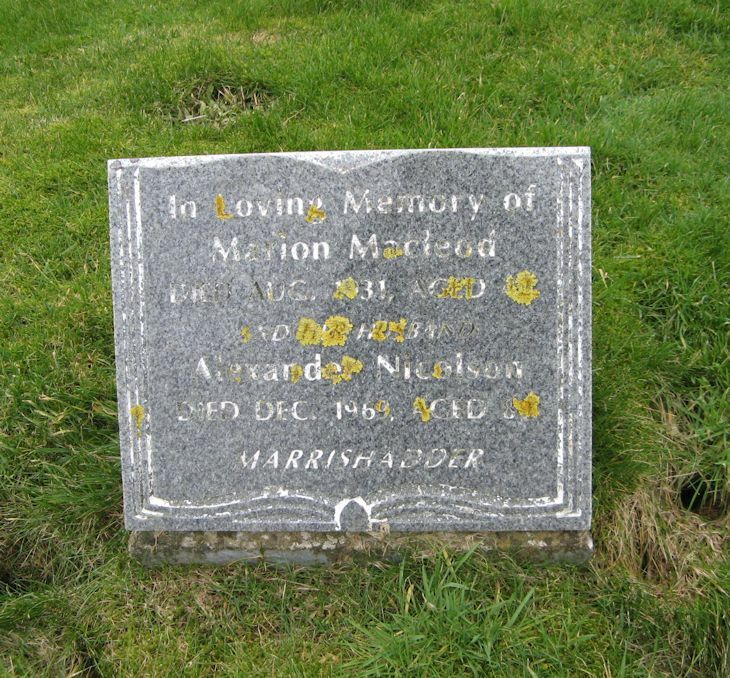 In loving memory of/MARION MACLEOD/died Aug. 1931 aged 42/and her husband/ALREXANDER NICOLSON/died Dec. 1969, aged 89/Marrishadder. Added by Marion Macleod Ross on 11 January 2019.